The concert was at Konserthuset in downtown Stockholm, where the annual Nobel Prize concerts are held. 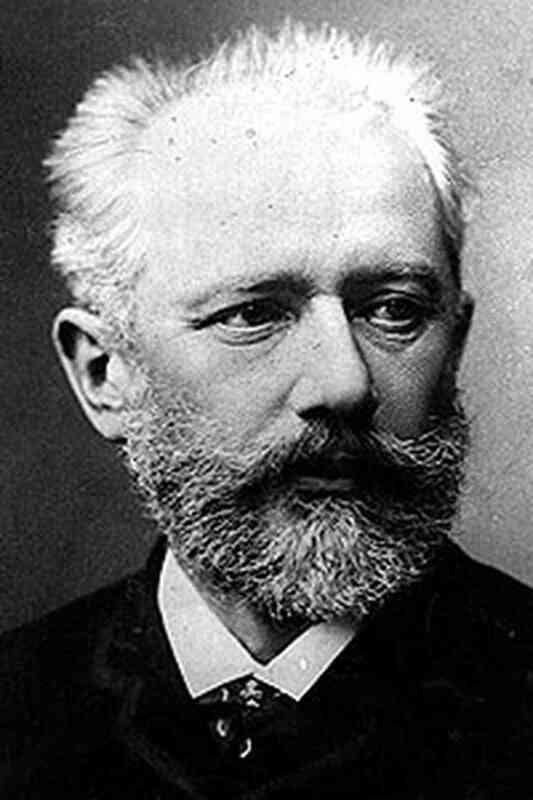 Vasil, his daughter Jeanette, and I attended primarily to hear a performance of the first piano concerto of Peter Tchaikovsky. There are occasions when the program’s conductor will be the main draw. Now that I have had the pleasure of experiencing the musical leadership of conductor Susanna Mälkki, I resolve to attend more of her concerts when I’m able. After the concert I consulted the Internet to learn about Ms Mälkki. I was almost shocked to learn that she is 46 years of age, my having perceived her as at least ten years younger due to her vigorous, almost balletic conducting style. Aside from her physical attributes, her leadership of the orchestra was full and complete—a master. Her biography will appear at the end of this article. However, Ms Mälkki’s leadership in performing this difficult and peculiar piece gave us an immediate appreciation of her talents and expertise. The piece is written to last eight minutes, thirty seconds. My interpretation of the audience’s warm reception, after the piece ended, was to signify appreciation for the bravery of the conductor and the musicians. It took great skill in keeping the piece from appearing to be merely chaotic, rather than purposeful. Ms Mälkki’s firm grasp of the music and of the orchestra, demonstrated in her bold and vigorous movements on the podium, was awe-inspiring. It took some time to move the stations of many musicians away from the front of the stage to allow an elevator to give birth to a grand piano, stationed below. We were seated in row three where we were able to directly see the keyboard and, eventually, the pianist’s shoulders, arms, hands and fingers, for which privilege we had to pay quite a bit. It was well worth it. The pianist was Inon Barnatan. He walked briskly from the wings, closely followed by the conductor, both taking their respective positions with brief bows to the audience. After some adjustments to the piano stool, he began playing without further hesitation. The piece begins with a quintessentially romantic theme and treatment, with both piano and orchestra participating. I have heard this piece via recording and radio many times since childhood, and I remembered that the beginning theme was borrowed by a popular song, “Tonight We Love”, in the early 1940s when I was first awakened to music. As the first movement progressed, with grand cadenzas ranging fully over the keyboard, I gave myself over to it, making few notes. The few included that this movement seemed like a love duet between the orchestra and piano, with call and response in some parts. This movement is almost nineteen minutes long and seemed like a whole piece in itself. The next two movements were to be a bonus. I marveled at how, in the first place, a composer could even create the sometimes seemingly impossible features of this music, much less have the pianist follow the composer’s intent. Listening to recorded music attenuates one’s ability to realize such things. I was simply in awe of the whole production. Mr Barnatan played his piano with the greatest of authority, seeming almost to challenge the composer to write something he couldn’t play, and with soul as well as with his technique. The second movement felt often as a pastorale, poignant, full of memories. The rapport between the conductor and pianist was evident as they exchanges glances to cue each other. I can’t imagine how he couldn’t have been smitten by her charming smile. I certainly was. The third movement had much syncopation and very lively. Mr Bartanan was obviously having a good time. The finale was highly romantic and emotional, causing my eyes to mist up. I startled the person to my right by my spontaneous huzzah, a quarter-second after the final note. Others had similar reactions. The encore was a solo piece, possibly Tchaikovsky, possibly Liszt or Brahms, a sort of impromptu–mostly delicate and quiet, with some melodic outbursts. 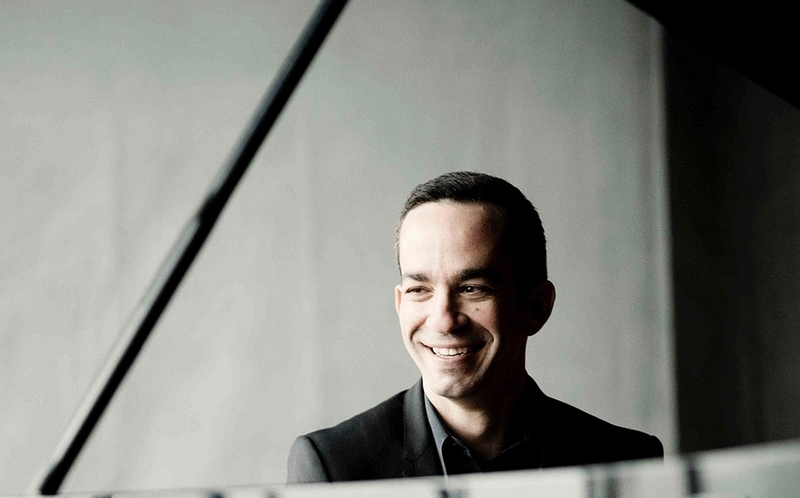 Mr Barnatan was awarded the Avery Fisher Career Grant in 2009, and was recently named the New York Philharmonic’s first Artist in Association, a three-season appointment. Barnatan’s recorded album Darknesse Visible was named one of the “Best of 2012” by the New York Times. Mr Barnatan is only thirty-six years old. I look forward to attending more of his concerts over the years. 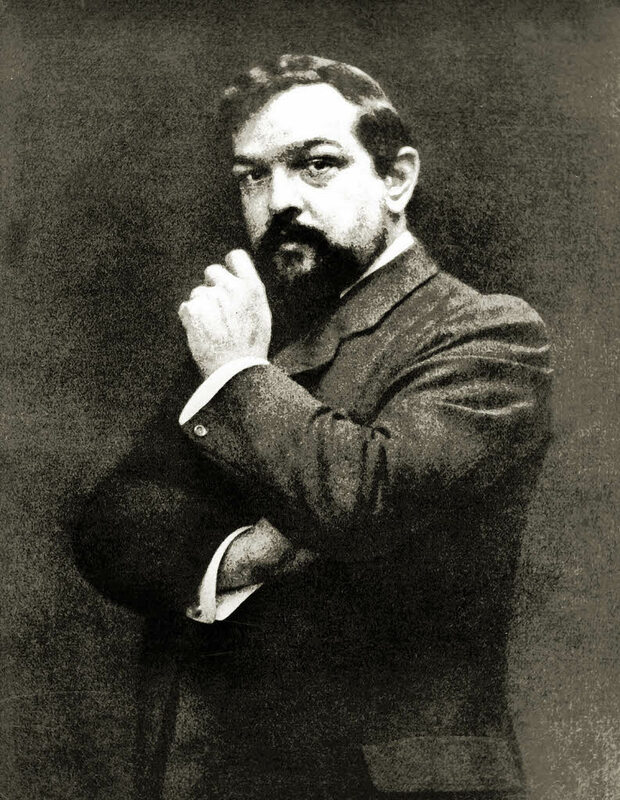 The three works which collectively form Claude Debussy’s Images for orchestra … are intended to be performed in succession, (but are) frequently heard independently of one another, especially the second, “Iberia,” which remains among the composer’s most frequently played orchestral works. “Gigues” was written from 1909-1912, and has a decidedly English flavor. Debussy quotes the English folk tune “The Keel Row” throughout as the tune ebbs and swirls in the colored orchestral texture, surfacing in one instrument, fading back into the texture, and then resurfacing on another instrument… A plaintive tone predominates; the few hints of joyfulness are clearly the product of wistful fantasy. The central “Iberia” (1905-1908), itself divided into three movements, is more outgoing in nature… The celebratory yet undeniably aristocratic atmosphere of “Iberia” owes a great deal to the earlier Fêtes from the Nocturnes, which rides the same fine line between the vernacular and the high-minded. Debussy’s score even calls for guitars and castanets, a remarkable request at that time. There is a decadent flavor to “Parfums de la nuit,” whose nocturnal activities form the center of the piece… The last movement of “Iberia” is kaleidoscopic in feel;…(t)he raw exuberance of a Spanish celebration drives the music to heights of a strained passion, and at times seems to be an attempt to conceal a great melancholy. The last of the Images, “Rondes de printemps,” was composed between 1905 and 1909. It is a product of the same turn-of-the century French obsession with spring that encouraged Diaghilev to commission Stravinsky’s Le Sacre du printemps…. Like “Gigues,” “Rondes de printemps” is introspective and nostalgic, short on activity and long on tone-color. Debussy spreads color throughout the ensemble in a masterly, and deceptively simple display of orchestration, rather than focusing on a single instrument as he did in “Gigues. (Source). This was a pleasant piece to bring us into a less excited place from where the piano concerto left us. 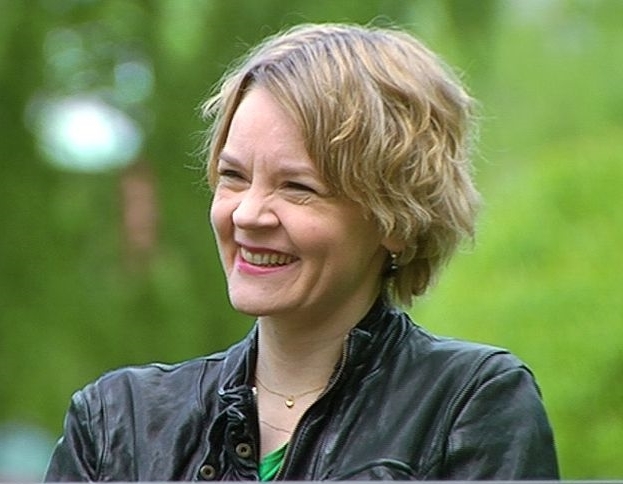 Susanna Mälkki was born in Helsinki, Finland, 13 March 1969. She is Principal Guest Conductor of the Gulbenkian Orchestra of Lisbon. 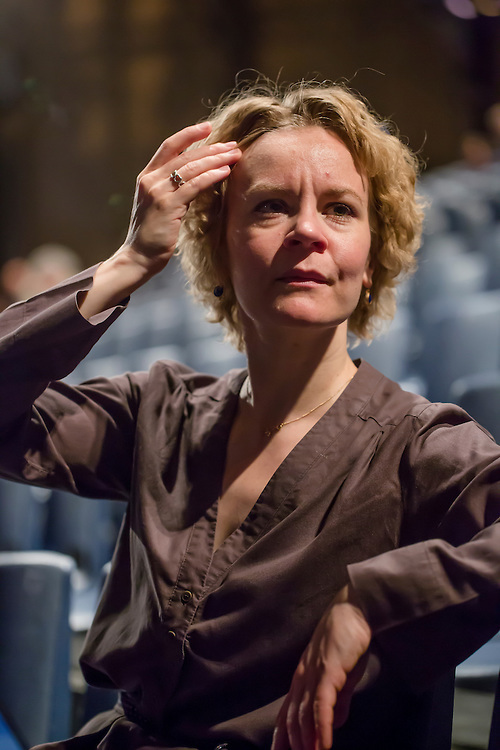 Previously, she was Music Director of the Ensemble InterContemporain of Paris, and Artistic Director of the Stavanger Symphony Orchestra, Norway. Prior to her conducting studies, she had a successful career as a cellist, and from 1995 to 1998 was one of the principals of the Gothenburg Symphony Orchestra in Sweden. In June 2010 she was elected a Fellow of the Royal Academy of Music in London and she is also a member of the Royal Swedish Academy of Music. In 2011, Mälkki was awarded the Pro Finlandia Medal of the Order of the Lion of Finland, one of Finland’s highest honours. (Source). This entry was posted in Music & Musicians and tagged "Tonight We Love", Alma III: Soma, Claude Debussy, Debussy's Images, Inon Barnatan, Jukka Tiensuu, Konserthuset, Peter Tchaikovsky, Sergei Rachmaninoff, Susanna Mälkki. Bookmark the permalink.